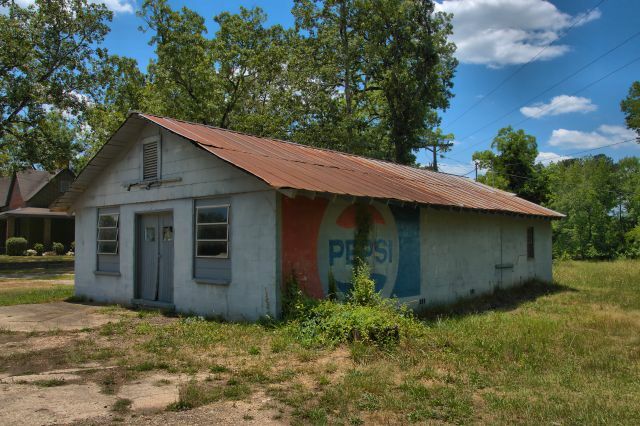 Mary Ellen McDuffie writes: This was a grocery store operated by my “uncle” Herman Phillips. Later, in the mid-1960’s, it was converted to a machine shop operated by my late husband and his step-father. The mural appears to date from the 1970s or 1980s. This was a grocery store operated by my “uncle” Herman Phillips. Later, in the mid-1960’s, it was converted to a machine shop operated by my late husband and his step-father.